See You at the Rendezvous!!! 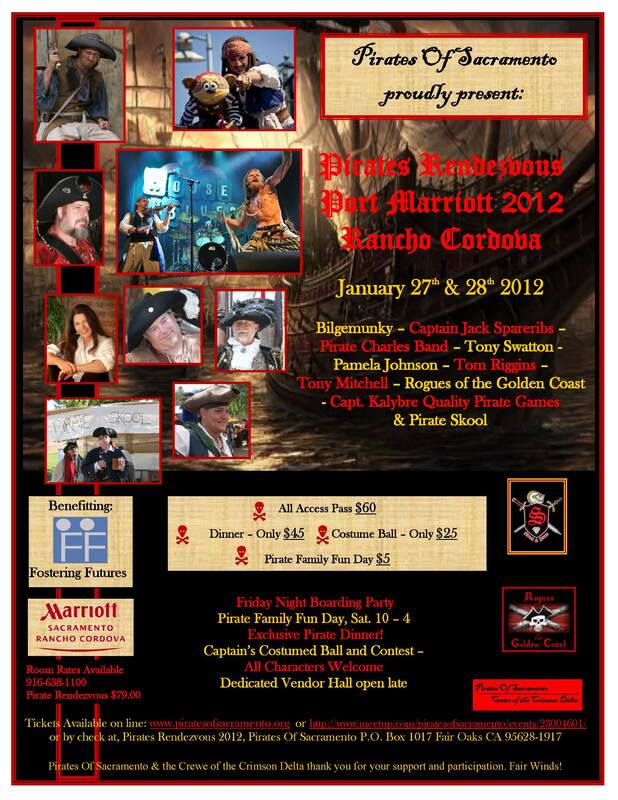 Less than a month to go until I get to rehit Sactown for the Pirates of Sacramento Pirate’s Rendezvous – and this year looks to be a smash! The Pirates Charles will be performing as will Jack Spareribs and the Rogues of the Golden Coast. Tony Swatton – master craftsman and swordsmith to the piratey stars will be in attendance. And lest we forget DJing by the Special Guest Host, Moi??? It’s not too late to join in the fun, so visit their website and make your plans today!